Please view below for general and track-specific admissions requirements and how to apply to the program. They are subject to change at any time as per the University. The BHSc program will admit entry-level and mid-level clinicians, allied health professionals and health care administrators with diverse education, work, and life experiences who have demonstrated capacity to pursue the course of study and increasingly responsible positions in health care. Areas of consideration include application content, academic record, prior health care experience, letters of evaluation and personal motivation. In special circumstances, a personal interview with members of the committee may be required (phone interview may be substituted). All interview expenses are the responsibility of the applicant. Prior to matriculation, all applicants must have completed 3 semester hours (or the equivalent) of college level written composition course from a regionally accredited college or university with a minimum grade of a C (GPA of 2.0 on a four point grading scale). An associate’s degree in a professional field of health from a regionally accredited college or university with a minimum cumulative GPA of 2.6 on a 4.0 grading scale OR a post-high school level diploma or certificate of completion in a field of health care with a minimum cumulative GPA of 2.6 on a 4.0 grading scale. In order for this coursework and education to be considered for credit, an applicant may be required to submit a student-prepared learning portfolio requesting assessment of prior experiences for academic credit. This will describe all traditional, online, military, and other health care education, as well as work-related experience and health care-related conferences attended. A resume or CV, transcripts, and/or official documentation of attendance must accompany all prior learning portfolios. The admissions committee will review the portfolio to determine the amount of credit given for prior learning. Documented evidence demonstrating education or experience in the health care field within the past five years. It should be noted that many criteria, in addition to academic credentials play a role in the admission process for the B.H.Sc. program. While the program allows the student to demonstrate academic capability, it does not assure admission to any professional school. Admission to the B.H.Sc. 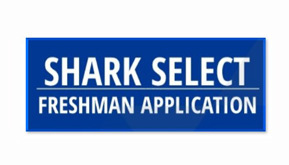 will not guarantee admission to any other program of Nova Southeastern University. Upon receipt of the completed application, fees, credentials and transcripts, the Admissions Officers and the College of Health Care Sciences will review all material for evidence of the proper education, training and background to enter the B.H.Sc. NSU has established different mechanism for students to convert their prior learning experiences into academic credit. For further information, visit the Office of Transfer Evaluation Services Web site. The B.H.Sc. program offers three start dates per year. Applications are accepted year round. In order to be considered for any start date an application must be submitted at least oe month prior to start date. To ensure that your application receives prompt consideration, you should apply early. The B.H.Sc. Committee on Admissions will not consider an application until all required fees, credentials, transcripts, and supporting documentation have been received by NSU's office of Enrollment Processing Services. A completed application form along with a $50 non-refundable application fee. Two letters of evaluation from individuals other than relatives such as academic advisors, professors, or clinical or non clinical supervisors, or a community associates. Official college, certificate and/or diploma-based transcripts from all undergraduate and graduate institutions attended, sent directly from the institution. Graduates from programs other than those from regionally accredited colleges or universities must submit a student prepared learning portfolio requesting Assessment of Prior Experiences for Academic Credit. Please click here for directions and a sample portfolio. Copies of national and or state professional certification, licensure or registration, if applicable. Preference will be given to applicants with a GRE verbal score of 350 and quantitative score of 450 (taken prior to August 1, 2011) or a GRE verbal score of 143 and quantitative score of 141 (taken after August 1, 2011) and an analytical writing score of 3.5. Upon successful completion of the B.H.Sc. degree, the above requirements, and an interview with the admissions team of the NSU Occupational Therapy Program students will be offered a seat in the NSU Master of Occupational Therapy Program at NSU's main campus in Ft. Lauderdale, FL. (MOT). This interview will be scheduled after the completed application has been submitted. For more information about admissions requirements for the entry-level Master of Occupational Therapy program, visit healthsciences.nova.edu/ot or email hpdinfo@nova.edu, or call 800-356-0026, ext. 21101. The entry-level Doctor of Occupational Therapy (O.T.D.) Program selects students based on grade point average (GPA), Graduate Record Examination (GRE) scores, a written essay, letters of recommendation, and an interview. These scores will be factored into the rubric that the department uses in evaluating applicant qualifications. Strong candidates will also demonstrate concern for people of diverse backgrounds, as well as the ability to use judgment, insight, and reasoning. Demonstrate computer and word processing competency to include, but not limited to, World Wide Web navigation, software and learning management system (e.g., BlackBoard) utilization, e-correspondence, database explorations, etc. Upon successful completion of the B.H.Sc. degree, the above requirements, and an interview with the admissions team of the NSU Occupational Therapy Program, students will be offered a seat in the NSU Doctor of Occupational Therapy Hybrid Program at NSU's regional campus in Tampa, FL. (OTD). This interview will be scheduled after the completed application has been submitted. For more information about admissions requirements for the entry-level Doctor of Occupational Therapy program, visit healthsciences.nova.edu/ot or email hpdinfo@nova.edu, or call 800-356-0026, ext. 21101 or Tampa: (813) 574-5278.